Mountain Heights aims to promote adventure activities and is registered under Societies Registration Act 1860 in the state of Uttarakhand. 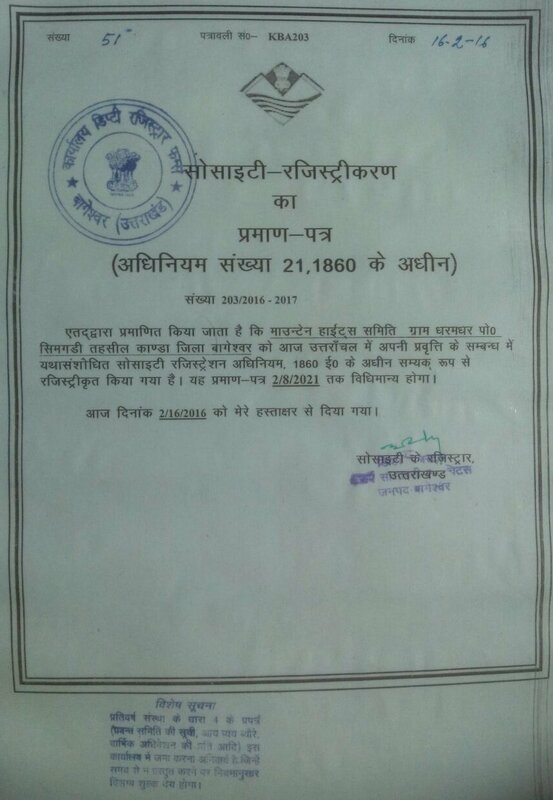 Dhamot home stay, registered and recognised by Uttarakhand Tourism Development Board, Department of Tourism, Government of Uttarakhand is located at "Dharamghar" near Chaukori in Kumaon Hills of Uttarakhand State. 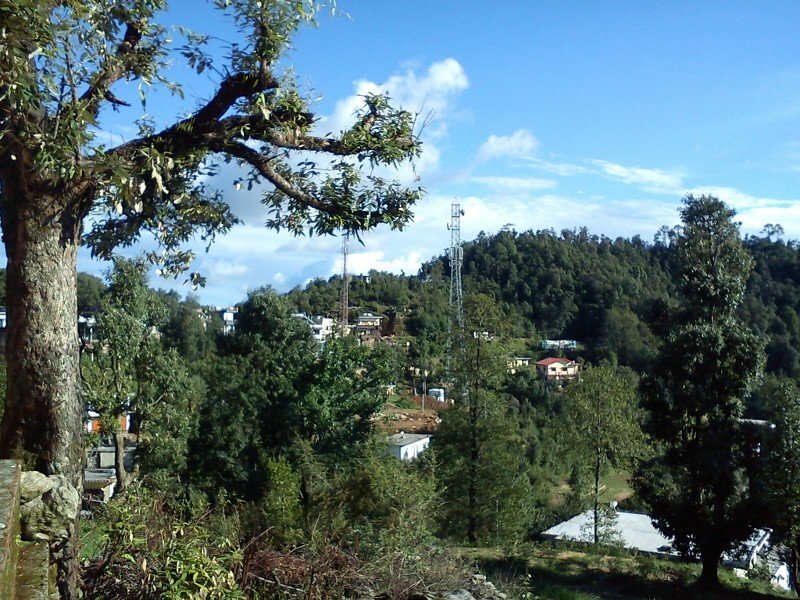 "Dharamghar" situated amidst thick “Oak Tree” (local name Baanj) forest is located 7 km northward from Chaukori lying at N 29052’ and E 800 with an elevation of 2,100 meter above sea level. It forms the border of two administrative districts Pithoragarh and Bageshwar of Kumaon Mandal. This place not falling on the popular travel route followed by most of travelers visiting this part i.e. Nainital - Kausani - Chaukori - Munsyari is not very well known compared to more famous nearby place Chaukori. Dharamghar also provides a great view of Himalaya, Panchachuli range on one side and Nanda Devi range on other side interrupted in between by "Shikhar" hill top. There is also a tea garden managed and maintained by Uttarakhand Tea Development Board. The place also serves as base for visiting three temples located in its vicinity namely Sangad Temple (Nauling Devta), Shikhar Temple (Mul Narayan Jyu) and Bhanar Temple (Banjain Jyu) which are revered very highly by the local populace and visited on every auspicious occasion for offering their gratitude for wishes fulfilled or to make a wish.